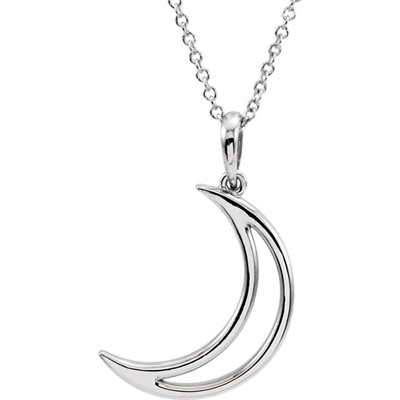 This cute sterling Silver Crescent Moon Necklace is a great compliment to any girl's style! Whether you're a Cowgirl at heart or a Free-Spirited Hippie Chic, this is your statement. Crescent moon measures 12mm x 24mm and comes with a 16 inch cable chain. We guarantee our Sterling Silver Crescent Moon Necklace to be high quality, authentic jewelry, as described above.